iPhone 5 will launch September 21. 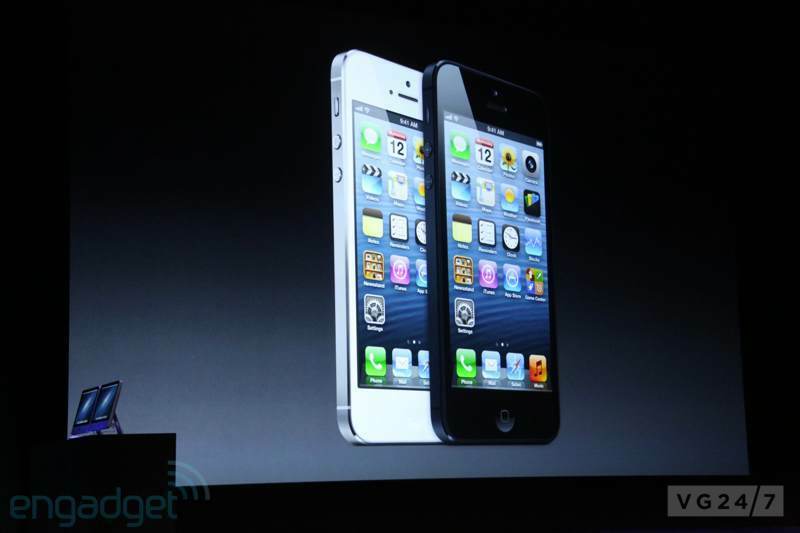 Pre-orders start Friday, September 14.
iPhone 5 will cost $199 for 16GB; $299 for 32GB; and $399 for 64GB under contract. 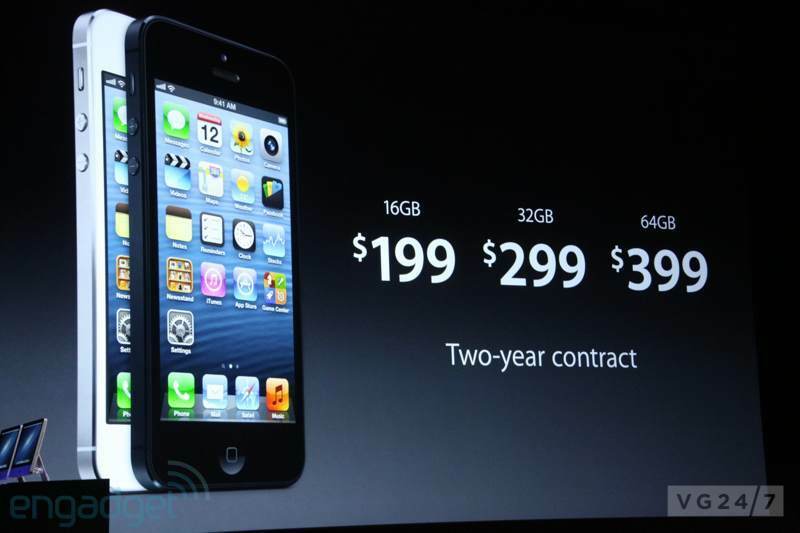 iPhone 4 is now free on contract and $99 without a contract. Last quarter, 17 million iPads were sold, and the tablet now boasts 68% of the market share. 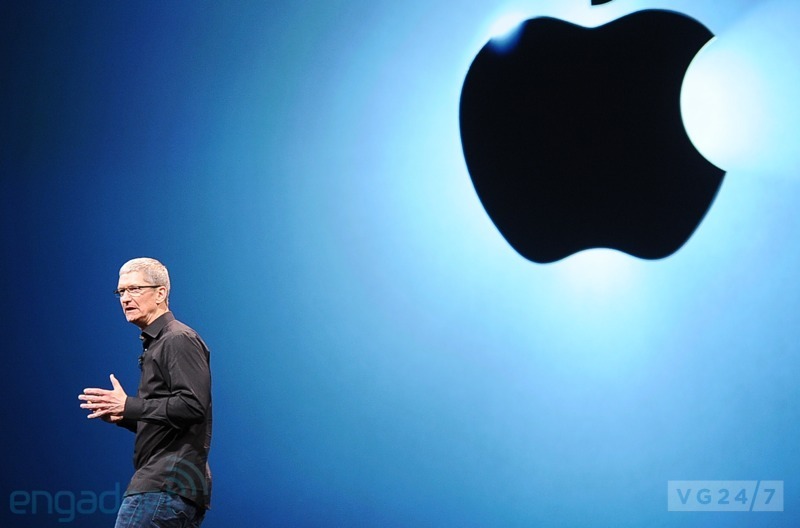 Apple has sold 400 million iOS devices through June 2012, and 84 million iPads. 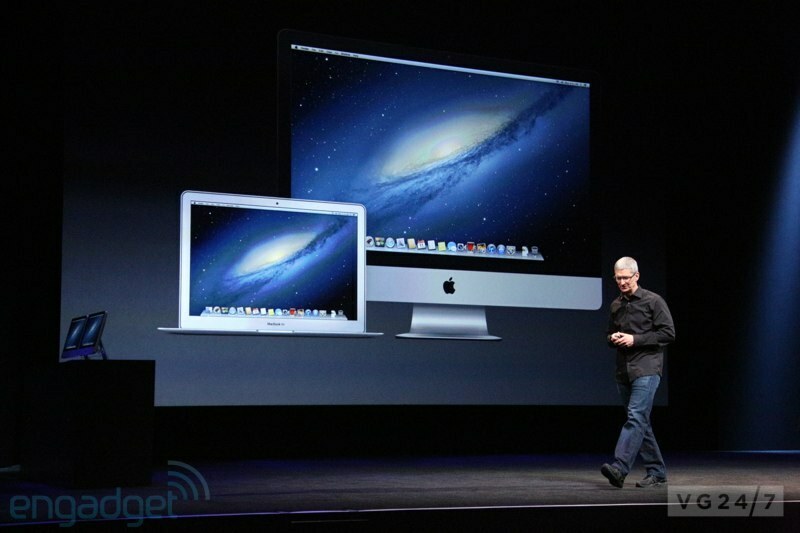 Mac sales increased 15% yoy versus 2% on the PC. Mac holds 27% of the market share. Over 350 million iPods have been sold, and over 175,000 games are available. 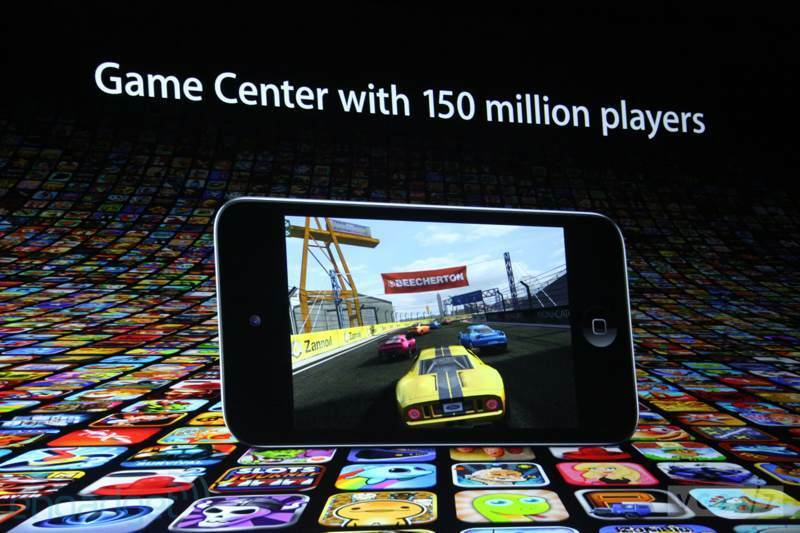 150 million players currently use Game Center. 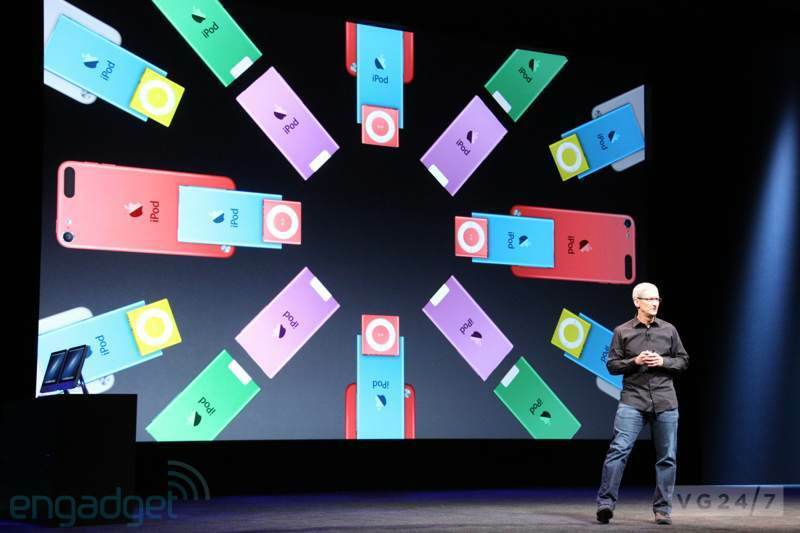 A new iPod Nano and a 5th generation iPod Touch will be available in October. 5th gen iPod Touch: 32GB for $299; 64GB for $399. iPhone 4S, iPhone 4, 3GS, new iPad, iPad 2 and iPod Touch all are getting iOS 6 on September 19. It’s 20% lighter than the 4S at 7.6mm thick and contains a 326ppi Retina display at four-inches with 1136 x 640 resolution. 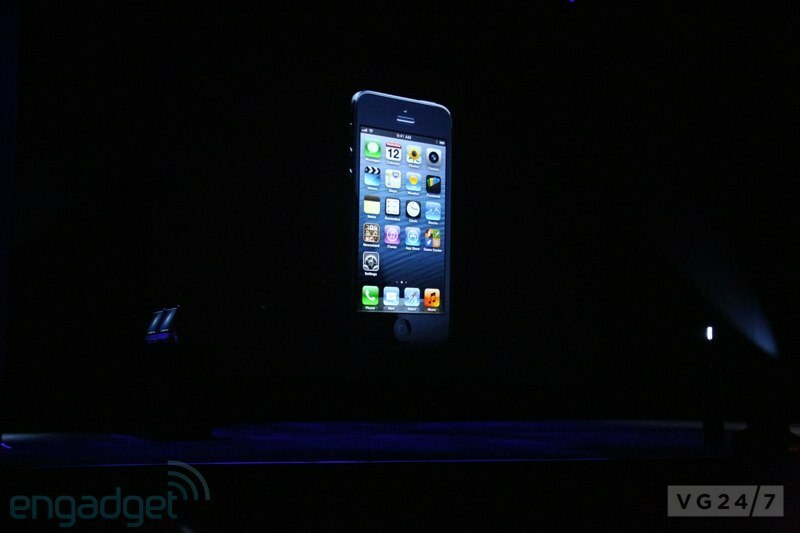 So it’s the same width as iPhone 4S, only taller. The screen shows five rows of icons, and four shortcuts on the bottom. The chip inside is the A6, a CPU running 2X faster and 2x graphics compared to the A5. iOS 6 was also shown running on the new iPhone. Rob Murray from EA took the stage to show how fast the phone runs and how the graphics look when playing Real Racing 3. The game contains a features called “time-shifted multiplayer,” which is an asynchronous gameplay feature allowing players to compete in races against each other’s ghost car while interacting. A video is below. Real Racing 3 will release later this year. A new Dimond Dash game will also launch alongside the new iPhone. “iPhone 5 is made entirely of glass and aluminum,” said Apple SVP Phil Schiller. “It’s designed and built to an exacting level of standard unlike anything we, or anyone in our industry, have made before. It contains a single chip for voice and data, a single radio chip, a “dynamics” antenna and a display of “HSPA+ is 21Mbps, DC-HSDPA is 42Mbps, and LTE is a max of 100,” according to Engadget. iPhone 5 contains “Ultrafast Wireless” which will be on DT and EE in Europe and in the US on Sprint, AT&T and Verizion. All will support LTE. The battery will last 8 hours on 3G or LTE and 10 hours on WiFi while browsing. Video display in widescreen is better and closer to 16:9 than the 4S. Updates to the camera were also revealed, with panorama, better face-time talk, and three microphones available. It has better speakers, a 5-magnet transducer, wideband audio, and a new connector called Lightening. It will not support micro-USB compatibility, or wireless charging. Bose, JBL, B&W, B&O and others are already working on new docks and speakers for the new connector, and “a bunch of accessories” are being created for your old docks. iPhone 5 was supposed to be announced during Apple’s October event in 2011. At least, that’s what all tech rumors claimed. Instead, a dual-core iPhone 4S was announced with personal assistant Siri, which resulted in many an Internet meme and comparisons to Portal’s GLaDOS. This time out, with iPhone 5, Siri has learned more regarding movies, theaters, and reviews. She seems to have some added snark built-in as well. “Can you recommend a good movie in theaters?,” it was asked. “That is a very subjective question. Here’s what others have found to be good movies,” said the Siri demonstration which pointed to Rotten Tomatoes ratings. A patent dug up in July revealed iPhone being used as universal remote via a set of schematics showing a dual-analog controller interacting with other iOS devices as well as Apple TV. None of this was mentioned for iPhone 5 today, so it’s possible the tech mentioned in the patent filing is just a patent filing and nothing more – for now. iPhone 5 will cost you $199 for 16GB, $299 for 32GB, and $399 for 64GB under contract. iPhone 4 is now free on contract and $99 without. Pre-orders start on Friday September 14, and it will ship out on September 21st in the US, Canada, UK, Germany, France, Australia, Japan, Hong Kong and Singapore. 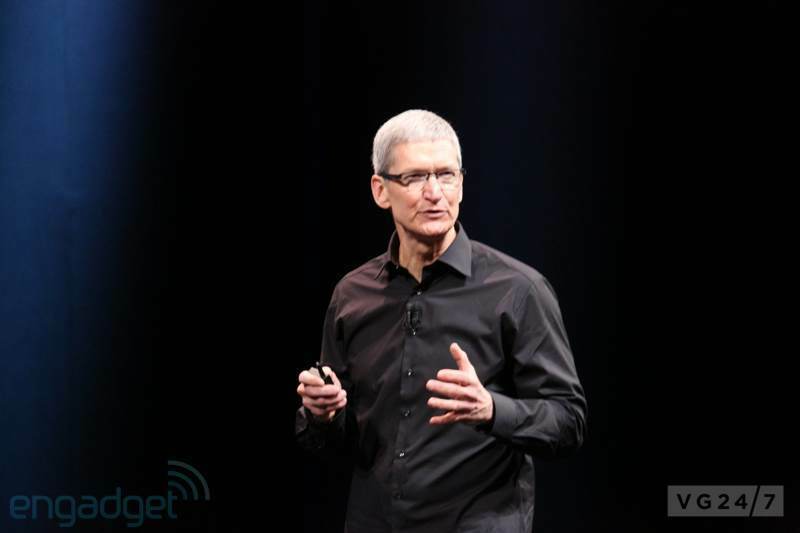 During today’s press event, Apple CEO Tim Cook took the stage to talk iPad figures and how it relates to the PC market. 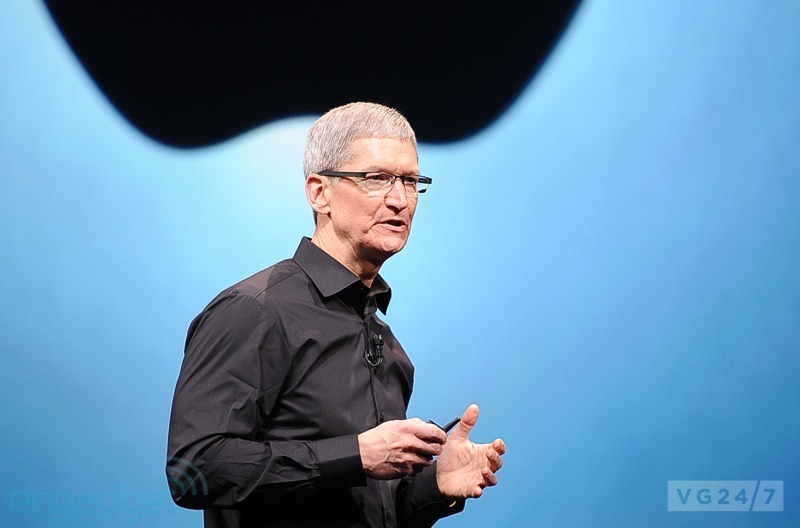 “The iPad is driving the post-PC revolution at an amazing pace,” said Cook. “We are in a post-PC world. We sold more iPads than any PC manufacturer sold of their entire PC line. 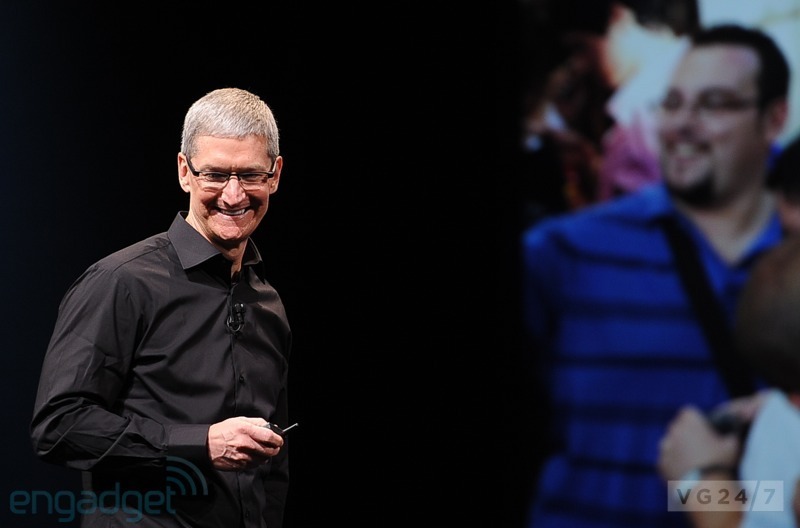 In all, Apple has sold 400 million iOS devices through June 2012, and 84 million iPads. Apple launched the third-generation iPad back on March 16 , and 3 million were sold during its first weekend on the market. An announcement of a new iPad model hitting retail never happened today, despite the fact rumors regarding a mini version with a 7.85 inch display have been swirling since early summer. Apple should be: Mac has a seen 15% year-over-year growth, versus 2% on the PC and it has captured 27% of the market share, outpacing the PC market for six years running. 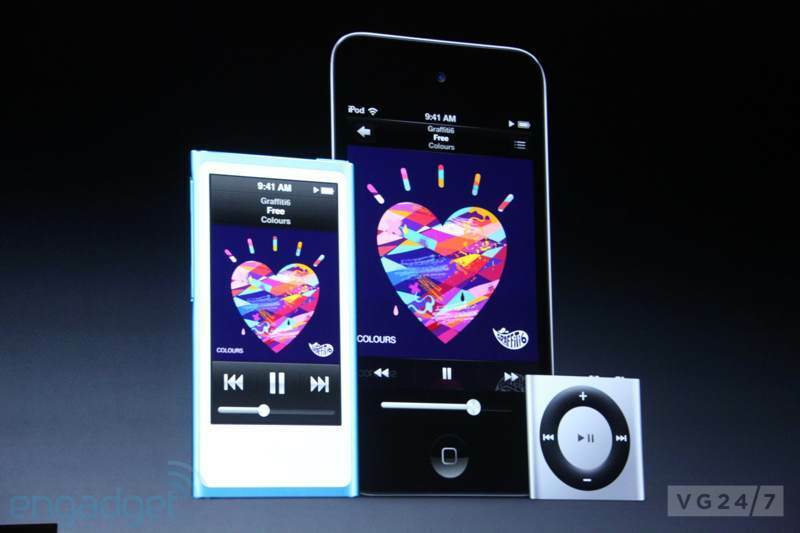 A new iPod Nano was announced which has been “reinvented” with a larger screen. It is 5.4mm thick which is 38% thinner than the previous Nano, and sports a 2.5-inch multi-touch display. Users can look at videos and pictures, and has an FM tuner with DVR functionality and a built-in fitness pedometer and it supports Bluetooth and the newly announced Lightning connector. iPod Touch 5th generation was announced, and it’s 6.1mm thick, weighs 88 grams, comes in five colors, and has a 4-inch display. The battery gets up to 40 hours of music playback or 8 hours of video before running dry. It comes with a 5-megapixel iSight camera with an illuminated backside and a f/2.4, 5-element lens with the same sapphire crystal lens cover as iPhone 5. Like the phone, it supports a panorama feature. It allows for 1080p video with image stabilization, a 720p camera for the FaceTime HD camera. Tech blogs have been rumoring a new iPod Touch with built-in GPS and the ability to act as a game controller. Apple announced none of this today. “It’s the world’s most popular music player… but a lot of people don’t realize that it’s also the world’s most popular videogame player as well,” said the firm regarding iPod Touch. Inside, it sports a A5 dual core processor with 7x faster graphics than the older iPod touch models. A game called Clumsy Ninja was demoed running on the new Touch, and you can apparently tickle this uncoordinated ninja who is more or less an interactive toy. 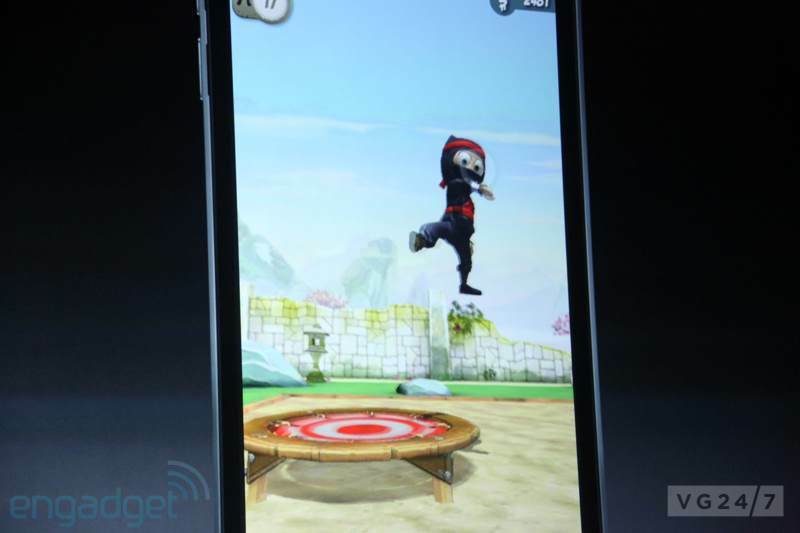 Clumsy Ninja will be available this holiday season. 4G wireless for the iPod Touch 5 will not be available – but it’s getting Siri if that’s any consolation. Apple has sold over 350 million iPods which support over 175,000 games for 150 million players in Game Center. Pricing for the 5th gen iPod Touch is 32GB for $299 or 64GB for $399. The 4th generation has been reduced to 16GB for $199 or 32GB for $249. 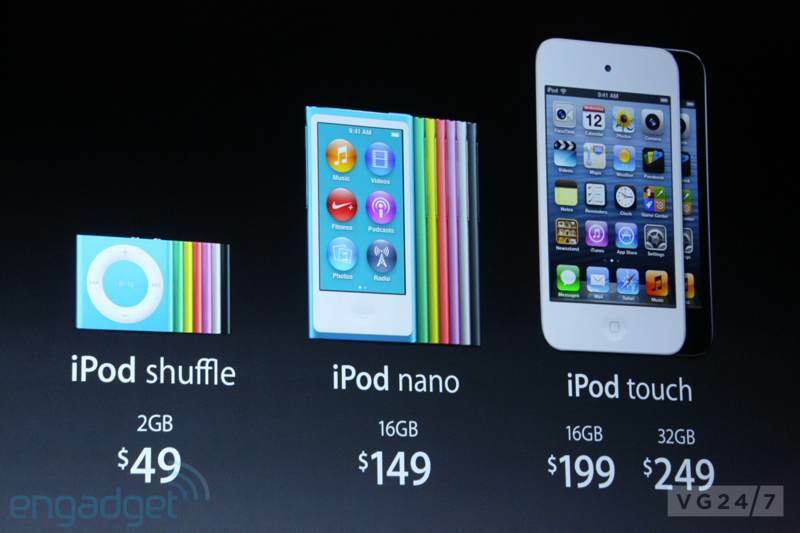 The new iPod nano is 16GB for $149, and the 2GB Shuffle is still $49. Nano and iPod Touch 5 will be available in October. iPhone 4S, iPhone 4, 3GS, new iPad, iPad 2 and iPod touch all are getting iOS 6 on September 19. 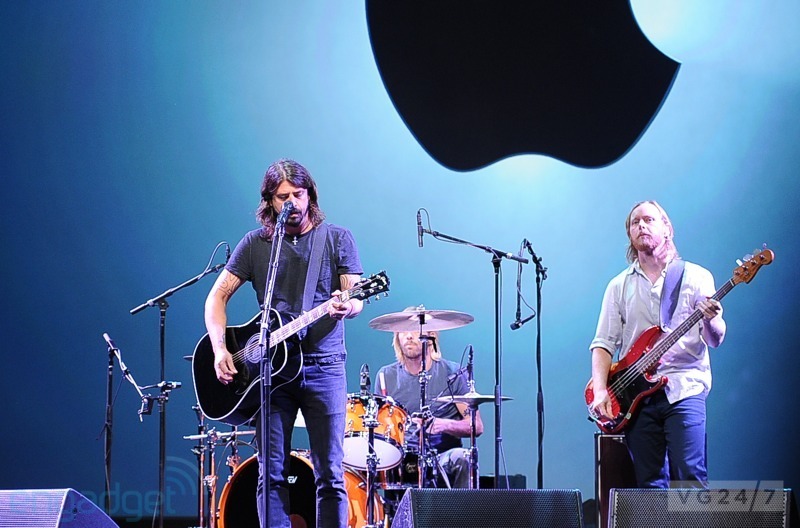 A new iTunes will roll out in October after the launch of iOS 6. That’s all the news fit to print and The Foo Fighters closed the event out. Big thanks to the awesome folks over at Engadget. Shots culled from the tech site are below as well.